This expanded incarnation of the railroad gives me the opportunity to engage in more realistic operations. With the point-to-loop design, classification yard, and sidings, I can now create realistic operating sessions. As mentioned elsewhere, I do not use a command-control system (DCC)– the layout is simple block wiring with 2 power packs for the main and a third for yard operations. This is adequate for operations on a layout of this size. The plan calls for one or two operators operating trains on the road. An additional operator can perform yard jobs, assembling trains and servicing power. I have been testing operations and it’s proving to be a ton of fun! It really keeps me busy, trying to do the work of three by myself, so I need to get some friends trained on operations. As it turns out, 14 is the magic number on this layout. 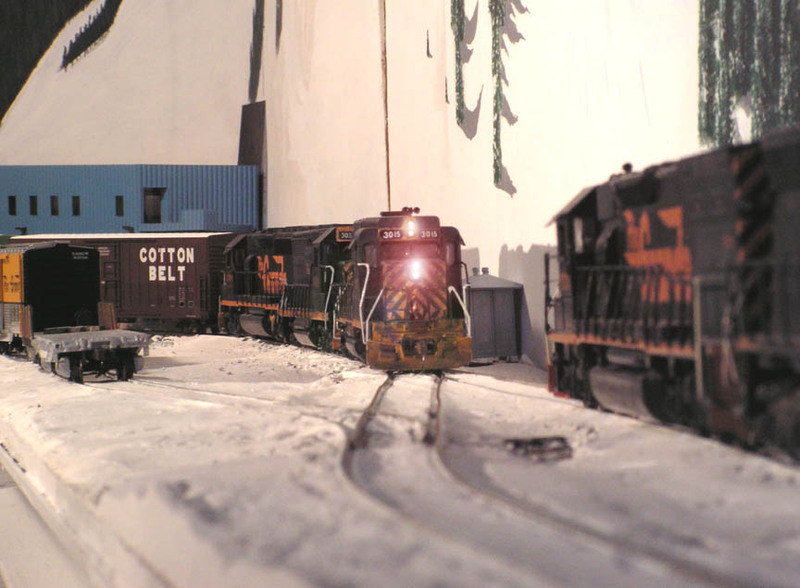 I can fit a 14-car freight (plus 3 locomotives) into Winter Park siding. 14 cars will fit between the south ladder switch and the crossover switch at the north end of the main yard. 14 cars fit into the longest yard tracks. I can cut a pair of swing helpers into a coal train, 14 cars back, and still fit all the power into the reversing loop (important for when you reverse polarity). In order to design a realistic session, I have begun analyzing historic traffic patterns along the Moffat Route, from North Yard westward. The situation varies greatly over time, so I am choosing a few sample periods. The first era I’m studying is the mid-1980s, during Rio Grande ownership. Below is a mini-summary of traffic during that period. Odd numbers are westbound, even numbers eastbound. 187	WB	5:30	Intermodal, autoracks from BN. UPS to Roper. 183	WB	6:00	Cargill export grain and other manifest freight. As needed. 195	WB	20:00	TOFC, City Market trailers on end with extra caboose in middle. 134-6	EB	20:30	TOFC from Roper, often head-end tonnage. 710	EB	flex	CSUX, Axial to Nixon/Drake, loads, Wed/Sat. Next, we factor in the realities of my layout, the limited number of passing sidings, and the actual bridge connections at each end (none!). From this we distill the above list into a workable two-person operating scheme, which I will call the Basic 1986 Session (daylight). Testing this in real time with a single operator, I find that it takes at least 45 minutes in real time to complete. It would be somewhat faster with multiple operators. I created an Excel form which I simply call “Dispatch Form A-1986”; I print this out and follow the steps, marking off each as I go to prevent catastrophe and gridlock. As you can see, this is a much-simplified operating scheme. You’ll also notice that I haven’t included the Ski Train or the Amtrak operations. I need to clear up some yard space before I can take that on! Jumping back to the past, say 1980, things get much different. About half of the trains are freights. Coal is often moved in blocks of coal hoppers added to freight trains. The Rio Grande Zephyr makes a thrice-weekly round trip over the line. 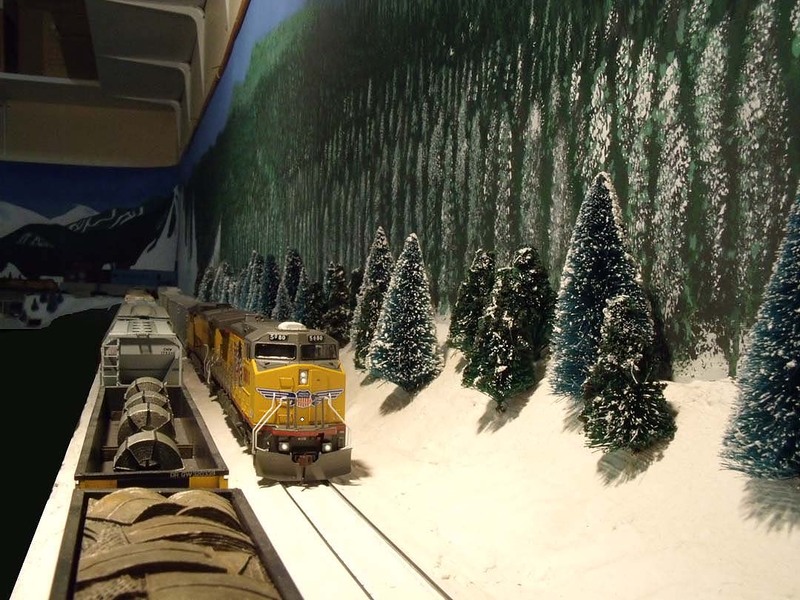 Winter weekends add a Ski Train turn to Winter Park. And, there’s those pesky cabooses! Just cutting them from incoming trains and assigning to outbound ones is a full-time job on this railroad. Under Union Pacific ownership, the vast majority of traffic is coal trains. 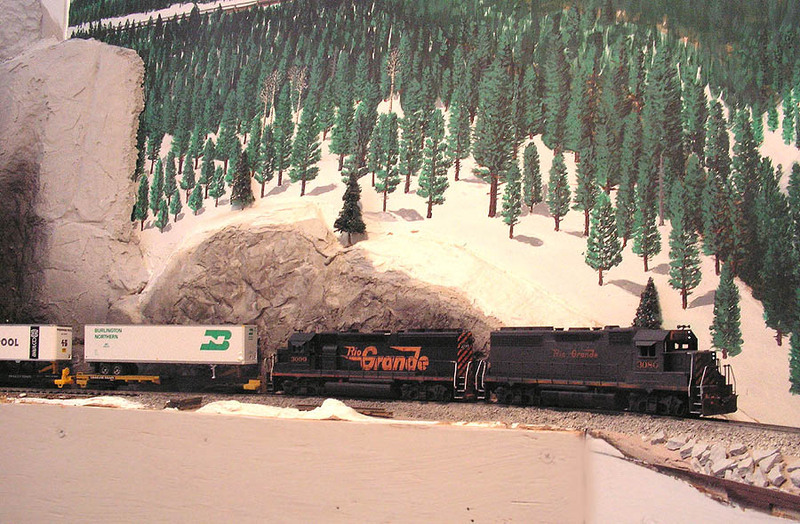 Moving these trains up and down the mountain is the dominant feature of operations. The yard operator actually has a lot to do, though, allocating power for these long trains and finding yard space. Throw in a daily freight train, Amtrak, a seasonal Ski Train, and some BNSF trackage rights trains, and it becomes a very crowded railroad. Amtrak’s California Zephyr, trains 5 / 6. The basic scheme is fairly simple. I operate six trains; a coal train is followed by one of the freights or the Amtrak train, followed by another coal train, followed by a freight or Amtrak, and so on. Or to put it another way, I alternate with one coal train and one shorter train of my choice. I have just enough yard space to make it work, assuming the coal trains average less than 20 cars. It’s a challenging job finding sufficient yard space, sequencing the movements, keeping trains out of each other’s way… in other words, it’s a lot like a real dispatcher’s job! Southern Pacific era operations somewhat different from the UP style. There is a a slight increase in the manifest freight traffic, and no BNSF trains. Freight cars now include intermodal and autorack cars. I find that by limiting myself to a pair of coal trains, congestion is reduced dramatically. SP manifest trains include basic general freight (RODVM/DVROM, OADVF/DVOAF), lumber trains, and intermodal trains (RODVT/DVROT). The intermodal trains can also include basically any kind of general freight to fill out length. Amtrak can run one or two trains, depending on how passenger-heavy I want the session, plus the Ski Train runs with Espee power. BN / BNSF Yard Transfers are now possible, with the completion of the Joint Line section. Occasionally I send a couple of BN units up from the Joint to North Yard and take back a cut of interchange cars. These transfer moves just wait on spare yard tracks near DUT until needed, when I bring them back and trade out other cars for interchange. Post-1996, the power includes BNSF-painted units. And, there are plenty of times when I just want to run some trains around, so I certainly don’t always adhere to a schedule.